Aloft, a sibling brand of the W hotel portfolio, is more than just a trendy hotel group for the business traveller. 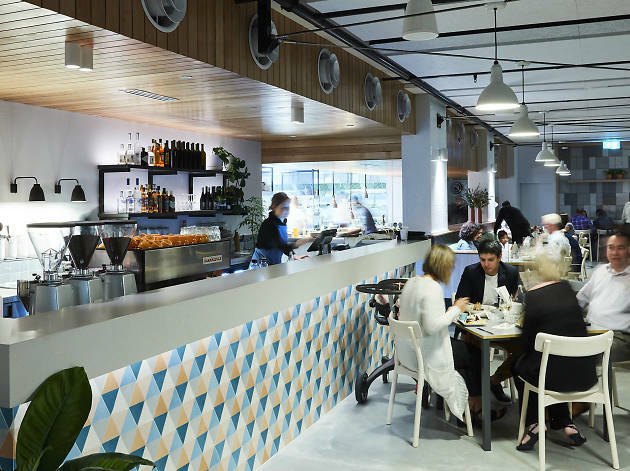 While the clientele at Springs Kitchen may include the odd jet lagged executive, there’s also a good number of office workers grabbing a coffee to go or residents in for breakfast. 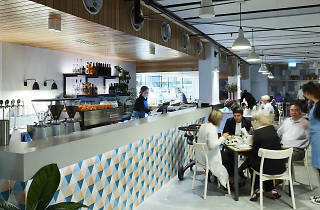 The open kitchen is turning out both modern and classic plates from 6am until late. While there’s the odd burger and steak sanger to be had, also expect seared prawns, grilled Fremantle octopus, dukkah honey roasted baby carrots and miso baked pumpkin.